One year ago today, our nation suffered the tragic loss of 20 children and 6 adults at Sandy Hook Elementary School. The first name on that list, Charlotte Bacon, is the daughter of my high school classmate, Jo Jo and her husband Joel, sister to Guy. Our hearts ache for their loss knowing there is nothing any of us can say or do to make it better. Nothing that can bring Charlotte back for them, nothing to erase the memories of that day from their hearts and minds. 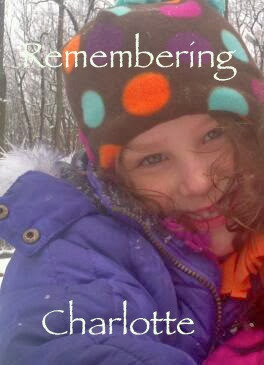 What we CAN do is remember Charlotte and honor her memory. Charlotte was a lover of animals, especially dogs. In the wake of the tragedy, therapy dogs were instrumental in helping the family and community members deal with their grief, loss, fear and anxiety. Charlotte's parents started Charlotte's Litter. The goal of the program is " to advocate for animal assisted activity with Therapy/Comfort Dogs and their roles as supportive friends and trusted companions. We strive to create turnkey programs that make Therapy/Comfort Dogs accessible to every man, woman, and child." 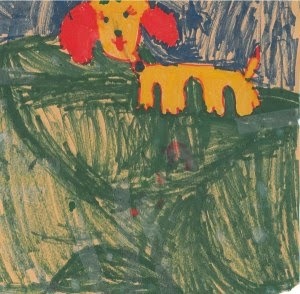 Orange Dog by Charlotte Bacon. If you would like to help children who have suffered through a traumatic experience, please consider contributing to Charlotte's Litter. Your tax deductible donation can be made by going here. What a wonderful tribute, Leah. We did NOT fall off the planet! Happy 3rd Gotcha Day Axel!